Absolument étonnant pour un prix modique (en occasion). J'ai revendu mon Krell KBL après une grosse panne de mon Krell KSA 250. Ayant besoin d'un préampli pour relier mon nouvel ampli, j'ai acheté ce KAV250P pour 900 € en pensant qu'au pire je ne perdrai que 900 €. Eh bien, je suis surpris par la qualité de restitution et les fonctionnalités tactiles de ce préampli dont l'intérieur montre une architecture à la mode Krell. Circuit et implantation des composants de style appareil de mesure, qualité du boitier à la hauteur (mais pas tout à fait celle du KBL). Télécommande très pratique mais laide comme toutes celles de Krell. Un très bon préampli que je vais rapidement revendre parce que j'attends un Accuphase neuf (bien plus cher). La finition et le design ne sont pas à la hauteur des modèles tels que le KBL...... mais le prix n'est pas stratosphérique et largement mérité vu la qualité de restitution et de construction. Télécommande très moche mais elle marche ! Quietness, speed on transients, well-controlled bass and natural mid-range reproduction. Slight top-end sibilance and harshness when paired with the KAV-150a. Lower extremes on the volume control could be more finely graduated. I have used the 250p with a KAV-150a for almost five years, switching to this solid-state pair from Graaf all-tube separates. The 250p is utterly quiet in operation, projecting vocals and instruments from a lower noise floor than my former tubed pre-amp. The 250p / 150a combo produces a more forward and lively sound than the Graaf units. Tonal balance is fairly good across the frequency range, though at the highest frequency extremes, a touch of sibilance and harshness (especially at higher volumes) becomes noticeable. I am inclined to attribute this more to the 150a than the 250p, because I briefly used a KAV-300i integrated before plumping for the 250p / 150a separates and did not notice this top-end harshness. Instruments and vocals are relatively vivd and well defined, but the Krell pairing lacks the euphonic bloom typical of tubes. In their defence, the 250p and 150a handle mid and lower frequencies with aplomb, showing much better grip over the speakers than my former Graaf sparates. Imaging is acceptable but could be more precise, especially on densely orchestrated material. The 250p seems to throw a wider but slightly shallower soundstage than the Graaf. I also wished the 250p's volume control was more finely graduated at the lower extremes -- the roll-off as you bring down the volume levels can be very abrupt. The rest of the system comprises: Krell KPS-20i CD player, Marantz SA8260 SACD player, Krell KAV-150a power amp, Sonus faber Cremona loudspeakers, Nordost Blue Heaven balanced interconnects and speaker cables, Audio Agile power conditioner and power cords. Graaf WFB Two pre-amp, Cyrus 3 integrated, Marantz PM4200 integrated. Quietness, transient attack, broad soundstaging. Lacking slightly in soundtsgae depth, volume control not gradual enough at lower extremes. I've used the 250p to drive a KAV-150a for nearly five years, after switching from tubed Graaf separates. Compared to my former tube pre-amp, the 250p projects a slightly more forward and transparent sound from a lower noise floor. Instruments and vocals sound more articulate and defined, and the overall presentation seems to be more vivid. Running both pre and power amps through their balanced connections provides a very lively and punchy sound, distinctly different from the more laid-back and fluid presentation of the Graaf setup. Imaging is acceptable but one could wish for more precision with placement of instruments and vocalists on dense material. This solid-state combo clearly betters my previous tube separates in speed and transient attack, but the Graafs seemed to provide more air around instruments generally. Soundstage projection was comparable to the Graafs - the Krells appear to project a slightly wider but shallower soundstage than the Graafs. The 250p/150a combo can sound harsh on some material, with slightly exaggerated sibilance, though I am inclined to attribute this more to the 150a than the 250p. I also find myself wishing for a more graduated (rotary) volume control, as the 250p's roll-off at lower extremes of the volume range can be quite abrupt. Build quality is adequate but not exceptional at this price, but it has performed faultlessly from Day One. Overall, the 250p is a thoroughly competent solid-state pre-amp, and I suspect its performance is somewhat limited by the 150a with which it is often paired. It is a quiet, refined and non-intrusive line stage that allows you to hear through the rest of the system cleanly. 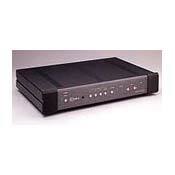 Ideal mid-level pre-amp if you are looking for one that interferes very little with the signal. The rest of the system comprises: Krell KPS-20i and Marantz SA8260 CD players, Krelll KAV-150a power amp, Sonus faber Cremona speakers, Nordost Blue Heaven (Rev. II) balanced interconnects and speaker cables, Audio Agile power conditioner and power cords. Cyrus 3 integrated, Marantz PM4200 integrated, Graaf WFB Two pre-amp. Looks Awesome with my 150A Amp. Simply doesn''t get in the way of the music in any fashion! As a used unit and if you can find it, it''s a steal at $850.00!! I must admit the remote is very "Cheezy"
Very simply. . . it doesnt get in the way of the music. As I sit here and think of how to write this review; all I can think of is that it doesn''t add or take away from the music! I was not using a Pre-Amp for some time and purchased this unit because I needed a better volumn control and the ability to add more source components. When I hooked this unit up, I did not here any difference in the music in ANY way! No added coloration or for that matter anything! My current system consists of: Krell Kav150A Amp (Awesome!!) Krell Kav250P Pre-Amp Denon CD Player (Soon to be replaced) Vienna Acoustic Bachs (Very Awesome!!!) Adcom AC515 AC Line Enhancer Monster Interconnects and MX Speaker Cable. I''ve read so many reviews of how a Pre-Amp adds to the music and I wonder. . . Should a Pre-Amp do this?? I''m of the opinion that a Pre-Amp should be nothing more than a switch box. Let the Amp, Speakers and CD player stand on there own merits!! The Kav250P will do this! Frankly . . . .None. It''s my first Pre-Amp. this preamp is just what a good preamp is supposed to be - transparent. this is a great preamp easily beating the NAD/Adcom/musical fidelity. the bel canto also prooved to be a great preamp, though a bit on the soft side of natural. At $2,200, this unit may be overpriced. This a wonderful preamp following "the straight wire with gain" philosophy. Provides tremendous transparency without coloration or distortion of tones. Frequency extremes were handled well with a very, very slight abbreviated decay of certain instruments (i.e. cymbals). When compared with passive preamps or DAC with volume, provides similar transparency but far greaer dynamics ond involvement in the music. I am not a big fan of Krell amps, and this product will help Krell establish a reputation of excellence in preamps. sorry I didn't find it earlier. I bought this baby from a friend who needed cash. I was astonished at the honey coated detail. This pre- gets up and boogies but without any annoying digital buzz. I listen more to my cd collection since getting it. Sound quality is strong and the unit is built exceptionally well. Price. Remote is not at all ergonomic with button layout. I purchased the unit and had to wait 3 weeks just to get it. The construction seems pretty solid, sturdy and well built. This is really a no frills unit that does what it was designed to do and is entry level into high end equipment.